The junior high faculty at Historic Anaheim Campus after taking the ice bucket challenge! Anaheim Hills Ice Bucket Challenge! 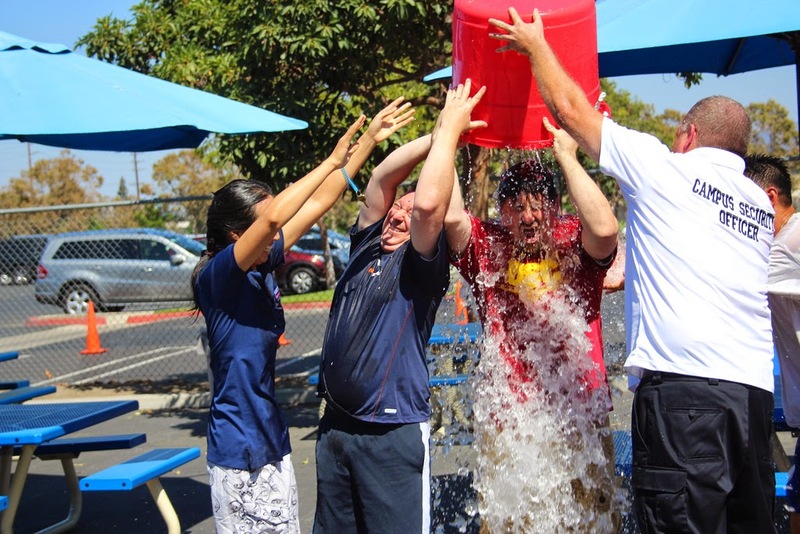 Two weeks ago, the junior high faculty at Fairmont Anaheim Hills Campus took the ALS Ice Bucket Challenge. The Anaheim Hills faculty challenged the junior high faculty at Fairmont Historic Anaheim Campus to take the ice bucket challenge. 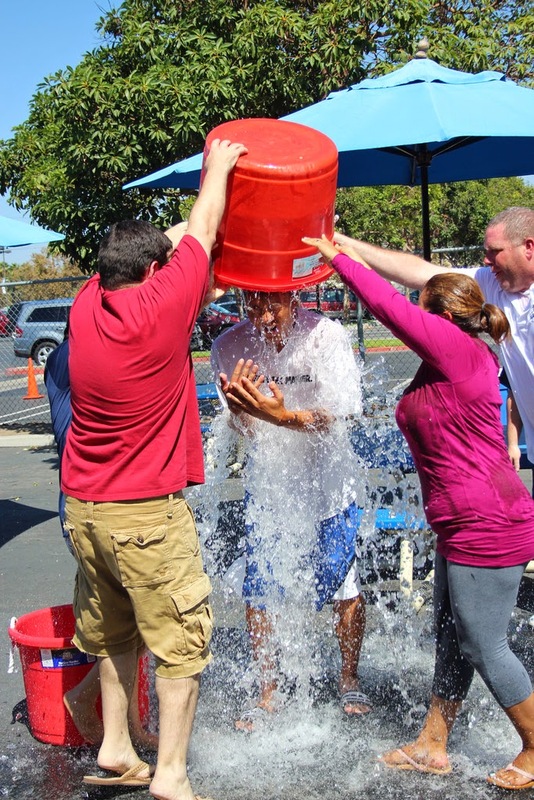 Last Friday, all the junior high kids at the Historic Anaheim Campus gathered around the pool area, and all the teachers participated in the challenge by dumping a bucket of ice cold water over their heads. In addition, the students were able to nominate a homeroom. The students from the winning homeroom were allowed to jump in the pool. While this event was a whole lot of fun, the junior high students raised over $1,000 to donate to the cause. Way to go!